Given the opportunity to make a meaningful statement about the climate, the BHP board have jumped into bed with the wrong people. Shenhua Mine. It’s been slammed by Alan Jones; Tony Windsor says it may never be built. Meet the alliance of farmers and advocates blocking Shenhua’s controversial project. 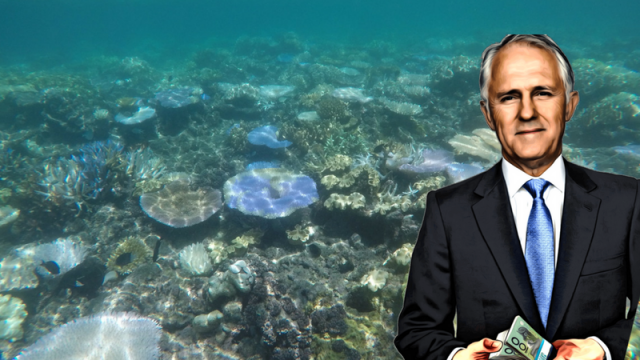 With Malcolm Turnbull changing course in regards to Climate Change, Rob Idol analyses his first steps against the prevailing political winds in his own party. With new logging projects slated for NSW, MP Alex Greenwich explains why our rich biodiversity needs urgent legislative protection. Brand new TBSer, Sean Carmichael, explains how Prime Minister Malcolm Turnbull’s move to appoint Jamie Briggs is an astute one. Barnaby Joyce’s dehumanising of asylum seekers might be questionable, but when it comes to halal certification, Michael Burrill finds the Minister for Agriculture to be surprisingly politically kosher. Attending an exclusive screening of Frackman, Jacob Joseph lauds a film light on science but full of heart, character and desire to show the human and environmental impact of CSG fracking. A path to meaningful action on climate change could open up at the 2015 UNFCC, writes Sherryn Groch, here’s hoping Australia chooses to take it.